Alright, ladies and gents. It’s the end of the year, which means it’s the perfect time to look back and reflect on all the good times—and the improved smiles—of 2017. At Exceptional Dentistry, we have had so many patients change their smiles for the better this year. Some improved the appearance of their smiles, some improved the overall health of their smiles, and some went all the way and improved both. So, without further ado, we’d like to present the top 10 ways our patients improved their smiles in 2017! Few people are born with perfect, Hollywood smiles. If you’re one of those lucky people, we both envy and admire your smile. For the rest of us, veneers can be a big help. This year, many patients have had these thin, tooth-colored shells attached to the front of the pesky teeth that detract from the beauty of their smiles. 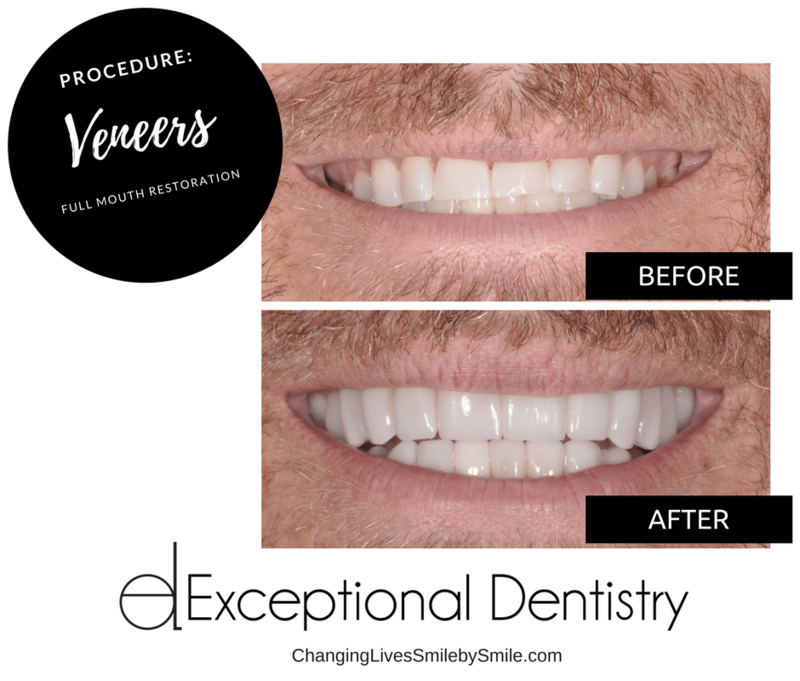 “Getting veneers done has changed my life! I smile so much more. I’m more confident. And I even got a promotion at work!” – Richard H.
Teeth whitening is another great way that our patients have gotten their smiles photo ready! 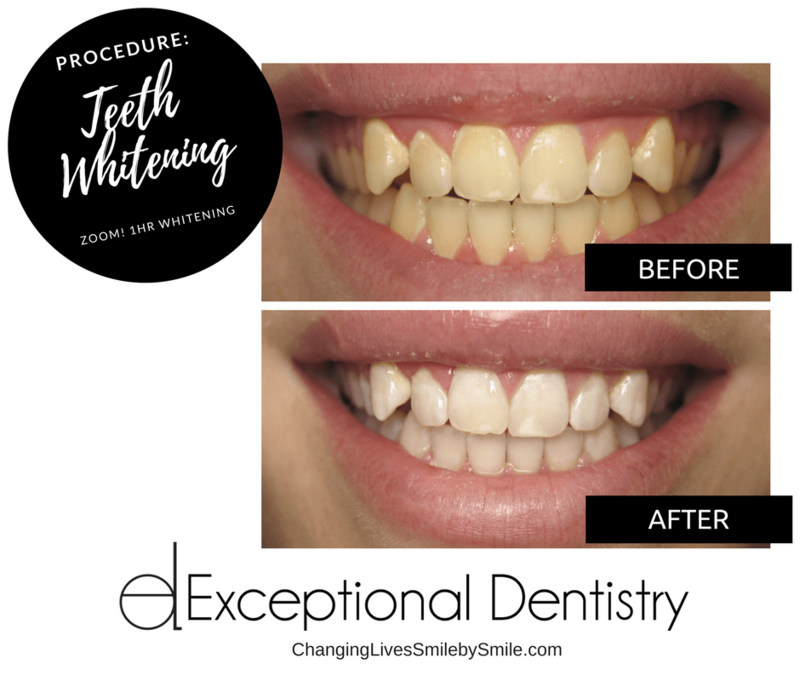 Dr. James Powell offers several teeth whitening options, like ZOOM and Kör® Whitening. 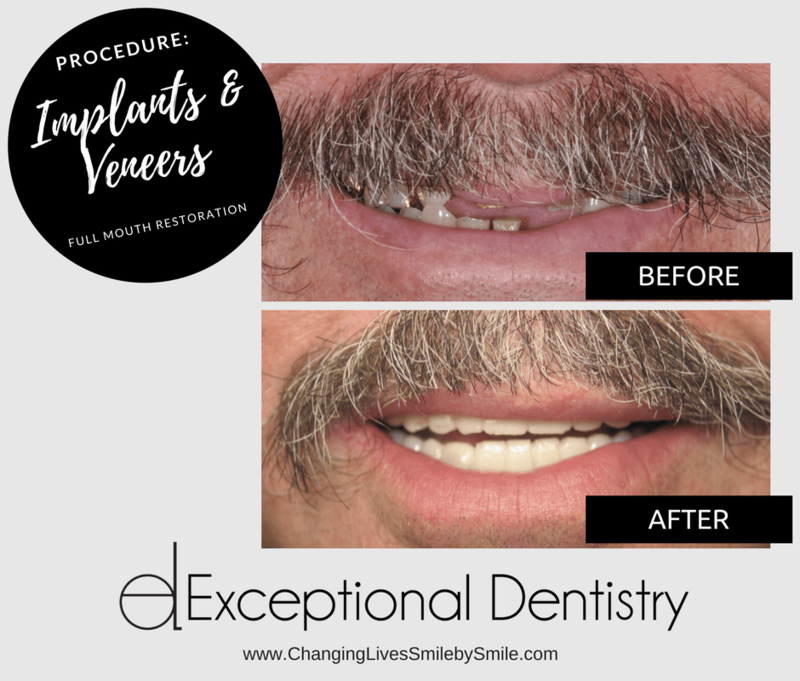 No more smiling behind hands or close-lipped smiles! “Wow, what I difference! I look in the mirror, and I can hardly believe that is MY smile. I am so happy, words can not even explain.” Michelle M.
That’s right. 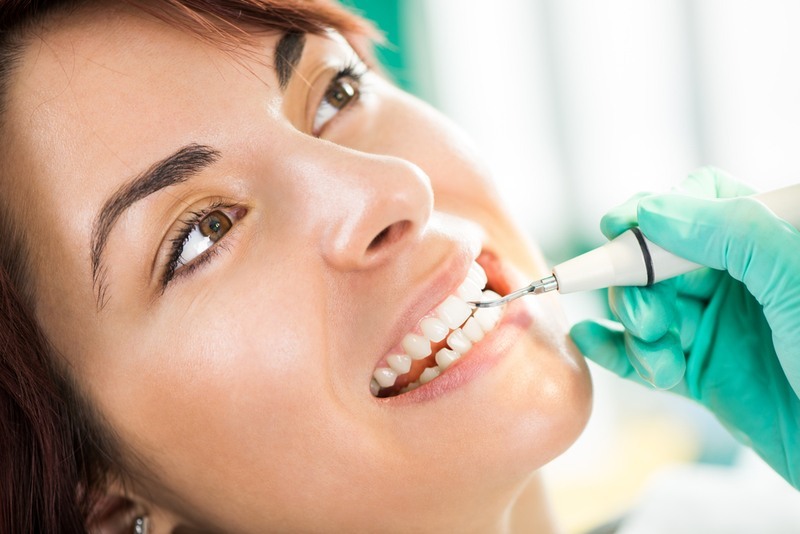 Dental cleanings are one of the top ways to improve and maintain the health of your smile. Not only that, but they help keep the rest of your body healthy as well. A deep cleaning is imperative if your hygienist finds deep perio-pockets and if your gums bleed. If the gums need a little extra help, a deep cleaning is the best way to help remove tartar and break-up the bad bacteria colonies. “I had an amazing experience. They are anxiety masters and really helpful. Great Team!! Definitely best dentist.” – Aidan U. For those of us with “bleeding gums,” there is a solution! Laser bacterial reduction can gently destroy bacteria below the gum tissue, which is the culprit of your gums bleeding. This treatment helps patients smile with pride. 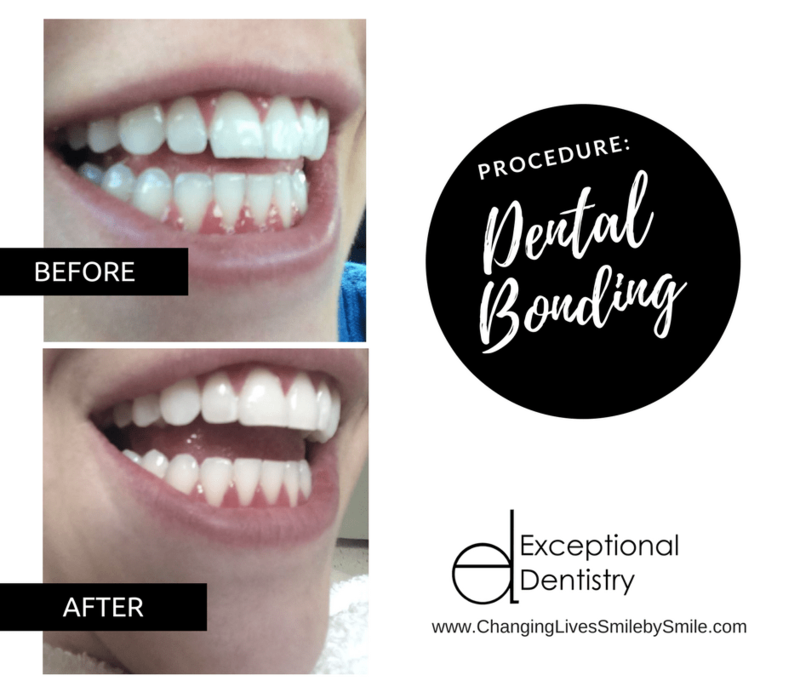 Some of our patients that were hesitant to smile because of things like chipped, cracked, or stained teeth chose dental bonding this year. 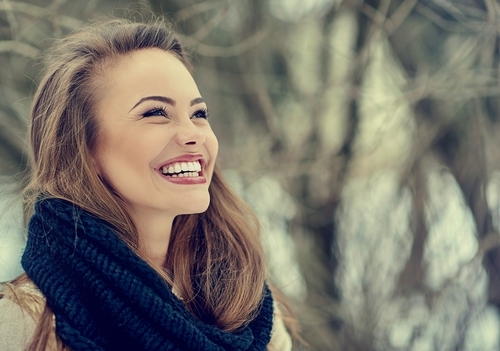 This quick and easy cosmetic treatment can boost confidence in no time! “I really hated how my tooth, that’s right next to my front tooth, was much skinnier than the one on the other side. There also seemed to be a bigger gap there. Which is why I was so excited when they told me I could just get it bonded! It was super fast, and such a small thing, but my smile looks a million times better! I love it!” – Hallie R.
A lost tooth can cause problems for both the appearance and function of the smile. Many of our loyal patients chose not to let a lost tooth spoil their smile! Dental implants replace not only the visible part of the tooth, but the root as well. 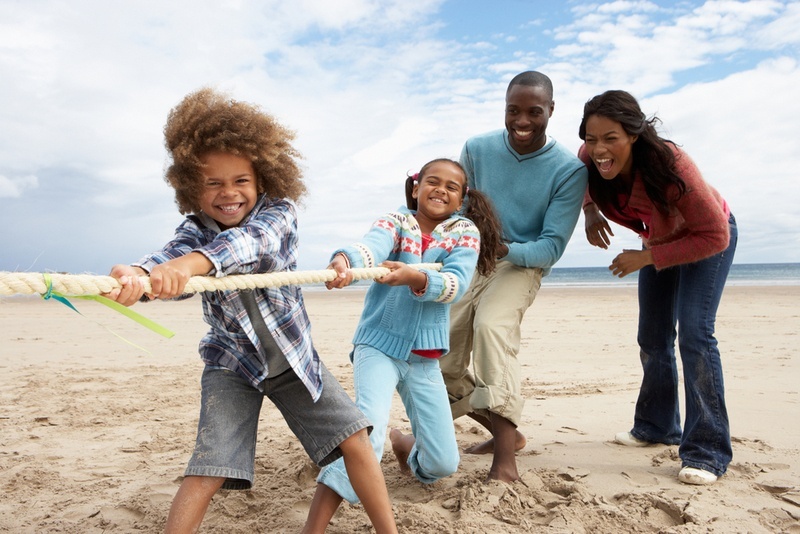 It’s as if your teeth and smile has been completely restored—well, they have! Another popular service in 2017 was NuCalm. It naturally relaxes your body without drugs. Many patients who get anxious when they go to the dentist ask for NuCalm to be added to their service. It’s been a wonderful thing for many of our patients. It even creates the desire to see the dentist because it’s a much better experience. Let’s face it—if you’re petrified of the dentist, you’re probably putting off necessary treatment—and procrastination hurts your smile! But when you’re relaxed, you can actually look forward to your visits and be excited when you see that your next visit is coming up! And it isn’t just anxious patients who enjoy NuCalm—a lot of moms and patients with high-stress jobs ask for it when they come in because it makes them feel like they just spent the day at the spa! In 2017, some patients chose to put an end to the damage of grinding and clenching on their teeth. 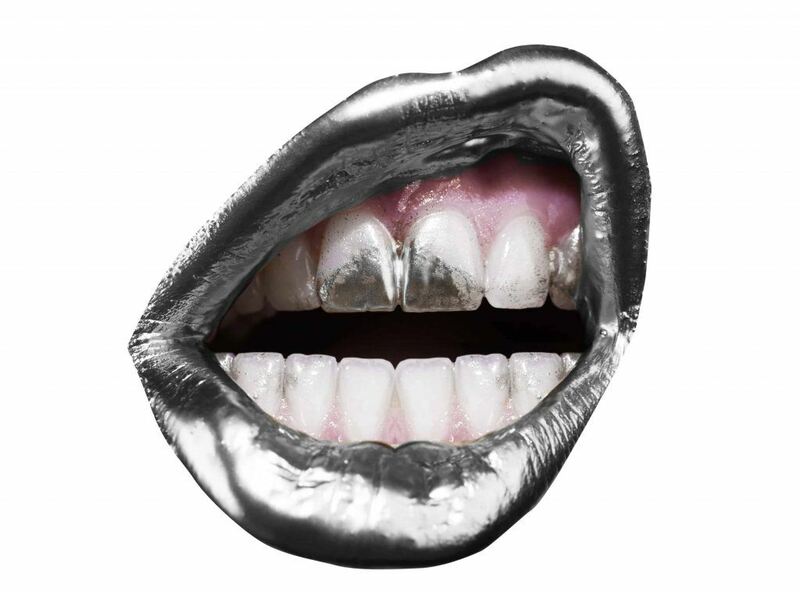 Night guards act as the teeth’s shield against grinding and clenching as you sleep. No more worn teeth or jaw pain! 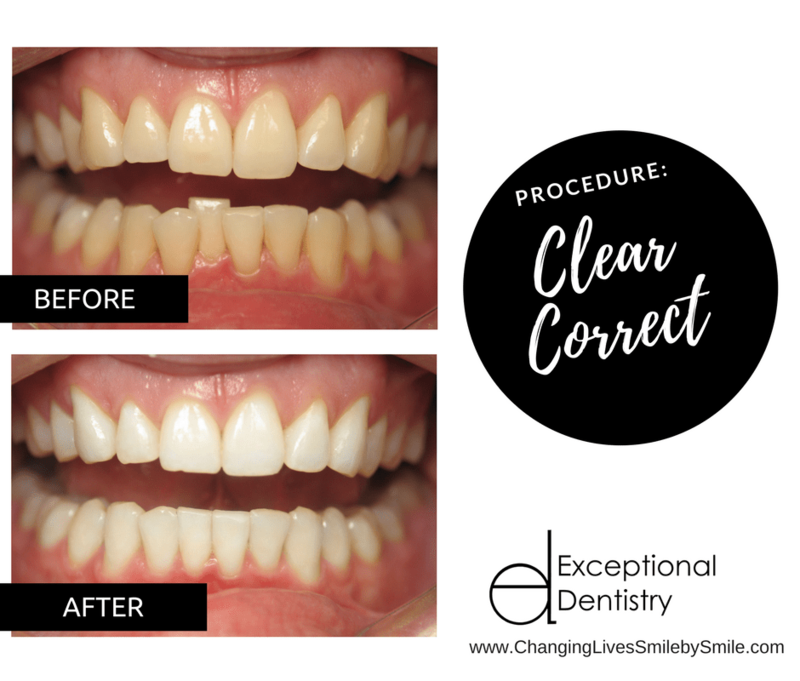 ClearCorrect™ is one of those services that can improve both the appearance and the health of the teeth when combined with bite-positioning. Some of our patients chose these clear aligners to reach straighter, more beautiful smiles. 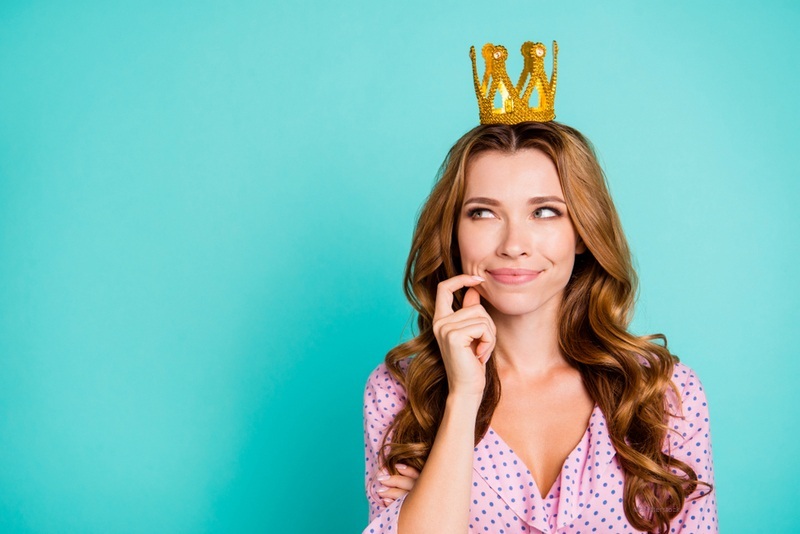 A tooth that is badly decayed, cracked, contains an old mercury-restoration, or is otherwise damaged may need a dental crown. But who has time for two dental appointments? 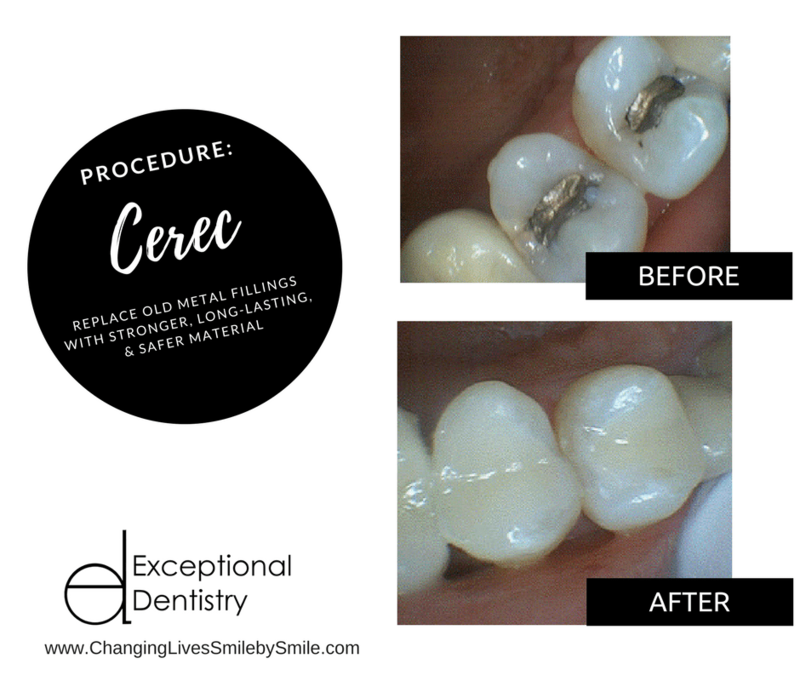 Dr. James Powell’s patients have chosen CEREC® to restore their teeth in a single visit! “While eating toast one morning, a 1\4 of my back molar broke off without warning. Dr. Powell took me in the next day as a new patient and provided turn-key same day service. His office navigated the insurance claim process, minted a same color porcelain fix that bonded the remaining molar stronger than ever before so now you can’t even tell there was a problem. I can’t believe how well it turned out. Dr. Powell’s office staff is courteous, professional and friendly. I’ve never experienced this level of service excellence before at any retail provider…let alone a dentist. Wow!” – Barry B. If you would like to learn more about these services, or other great ways to improve your smile, we invite you to contact our dental office at (661) 349-7725 today. We are more than happy to answer any questions that you may have and to help you schedule a consultation with our dentist in Palmdale, California.